Shadow mode for Livorsi DTS Controls is now available. Shadow mode allows for automatic throttle synchronization for triple or quad engine applications; where two throttle levers operate three engines or four engines. Requires appropriate Mercury shadow mode rigging kit. Livorsi DTS Controls require the appropriate Mercury rigging kit. 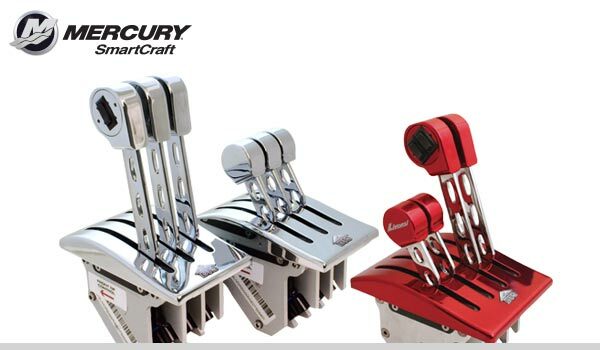 Only Mercury Certified Dealers may install Livorsi DTS Controls. Please note:The 7 3/4" overall footprint of the base plates is not centered within the of 5 1/4" cutout length.